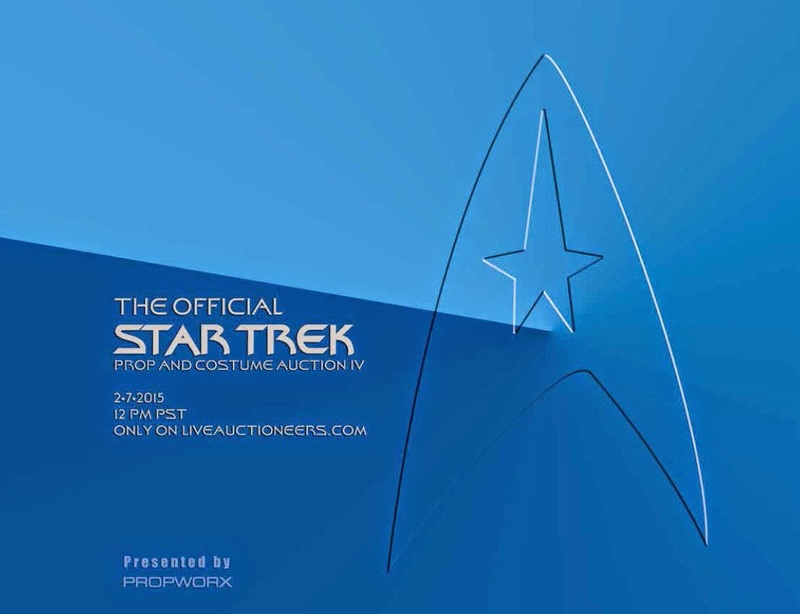 As many of you know, for the past 7 years Propworx has run numerous prop and costume auctions, from the official Battlestar Galactica auctions for NBC to the official Stargate auctions for MGM to the Iron Man auctions for Marvel to 3 Star Trek auctions. 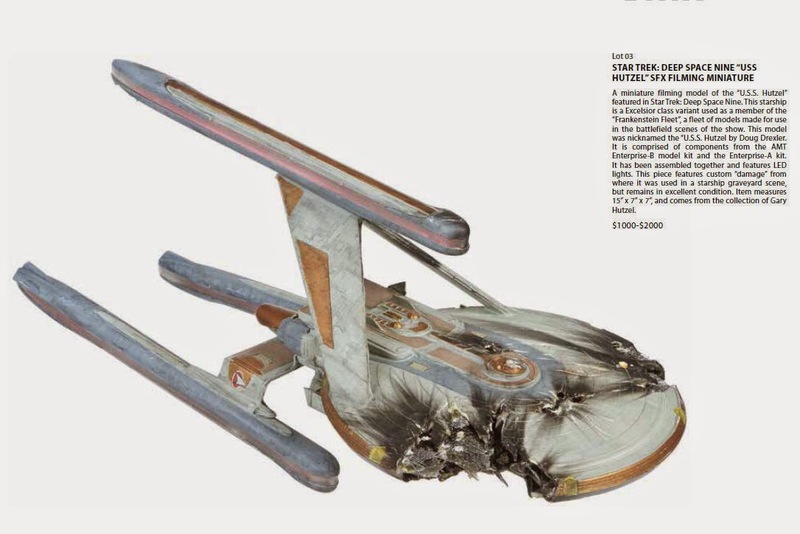 And now Propworx will hold Star Trek Auction IV, 100 lots of props, costumes, models, artwork and production materials. 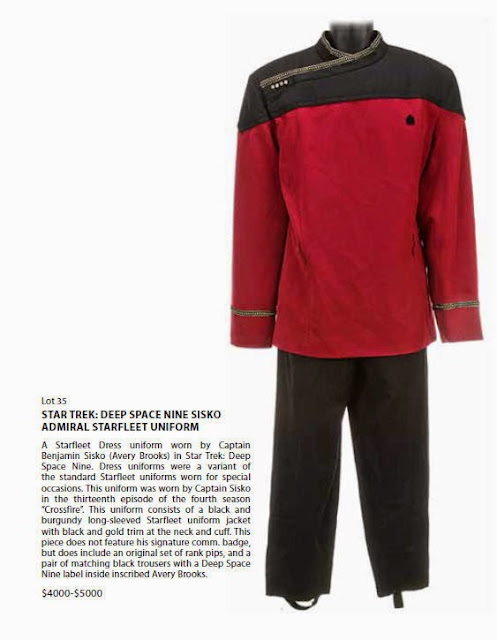 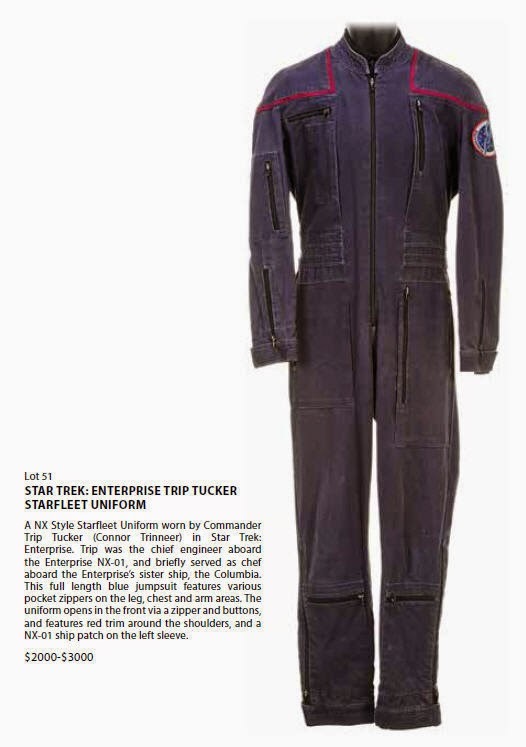 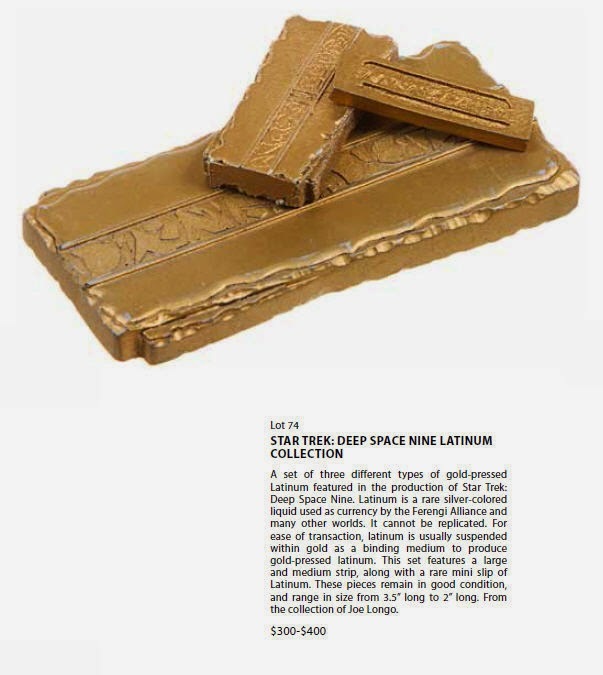 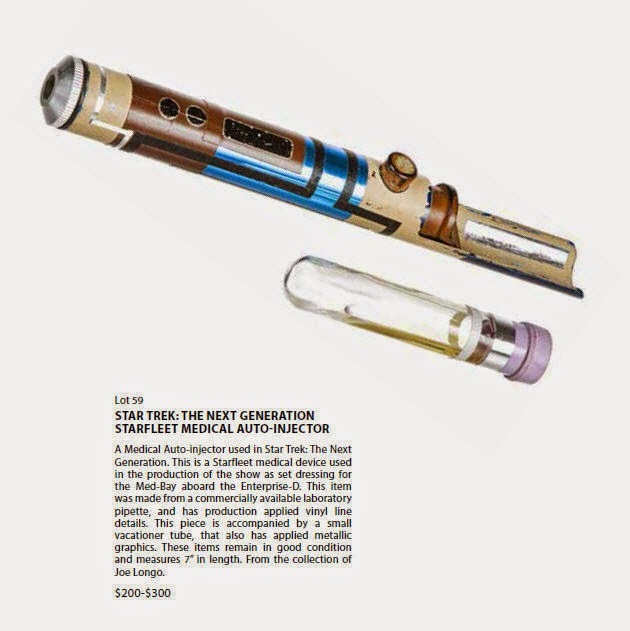 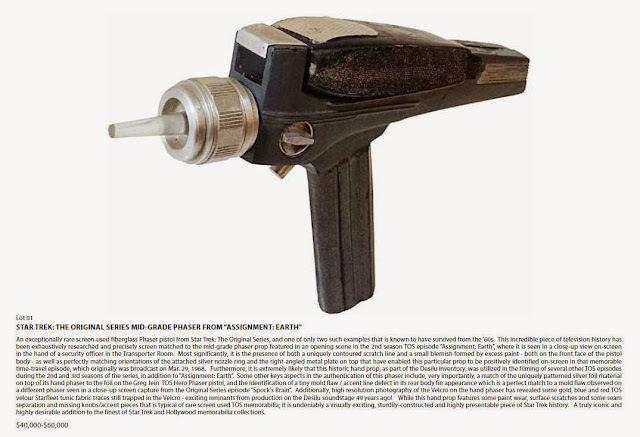 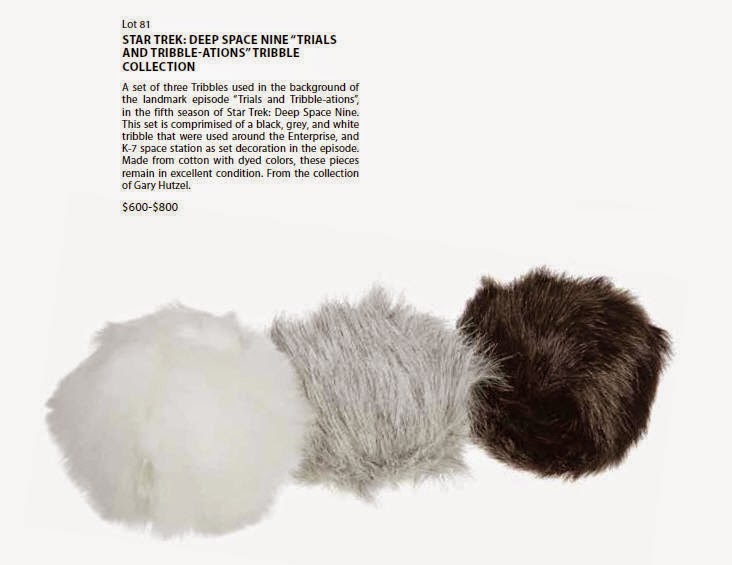 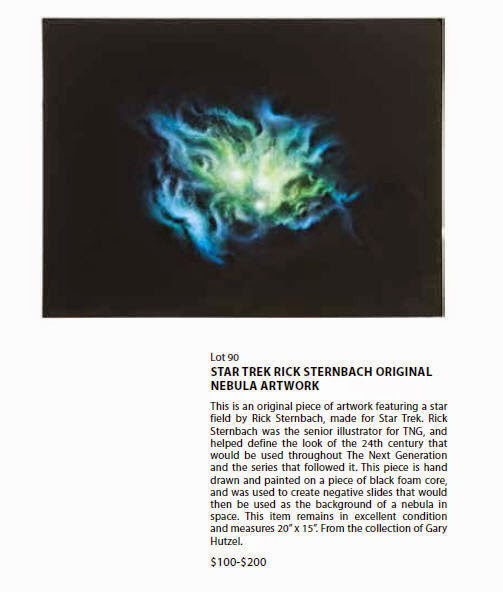 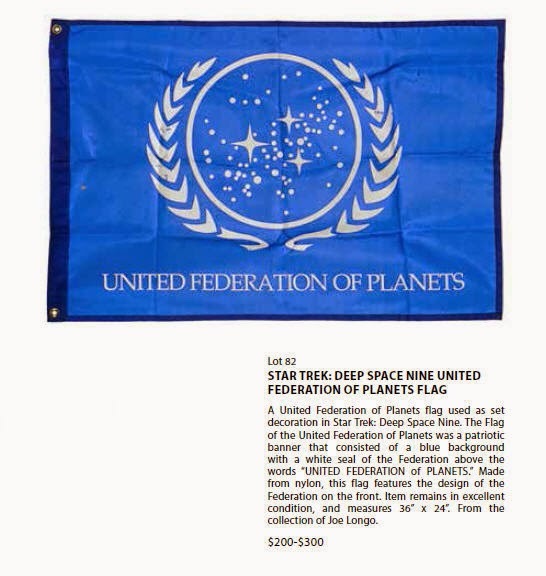 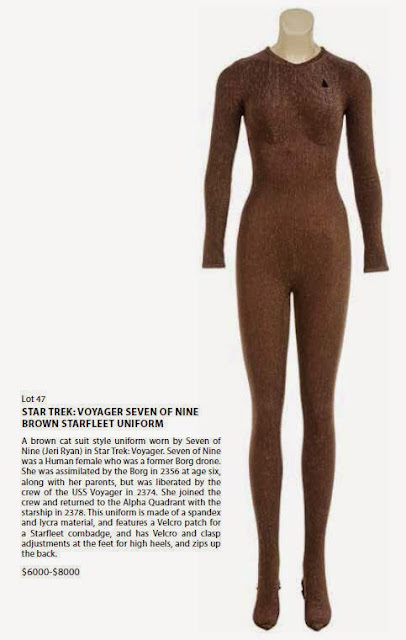 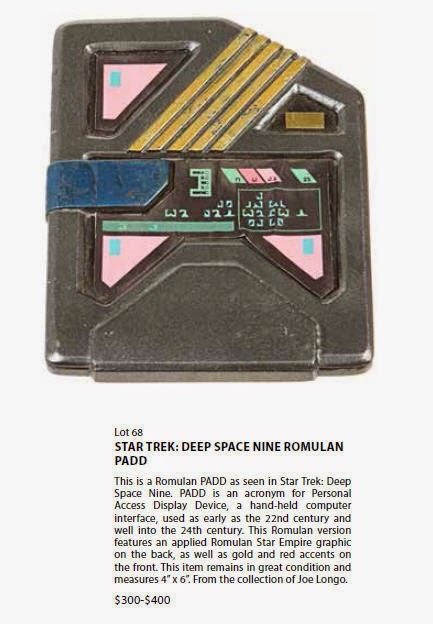 This is the first of three Star Trek auctions for 2015 that feature items from the collections of Star Trek luminaries Gary Hutzel (VFX Supervisor), Joe Longo (Propmaster) and Ronald B. Moore (VFX Supervisor). 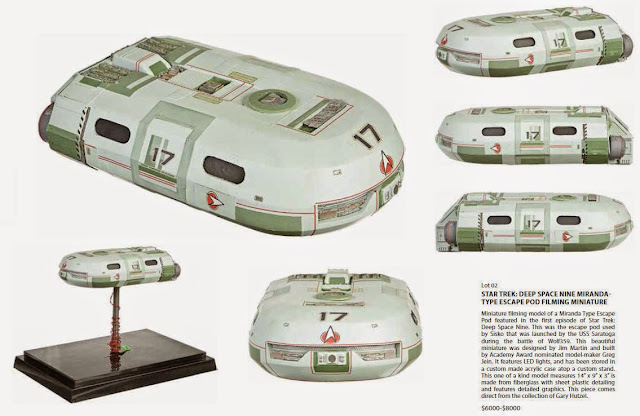 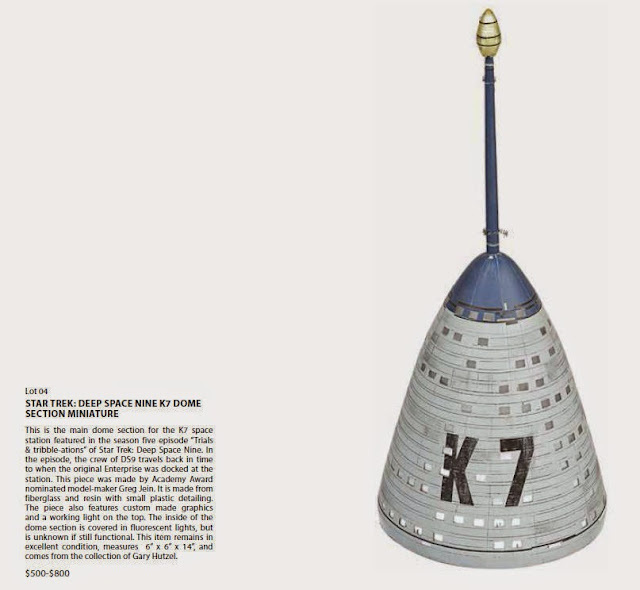 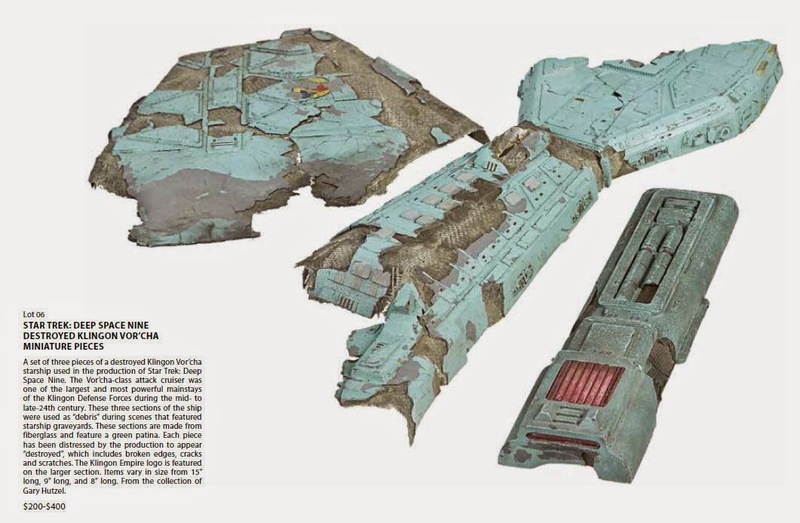 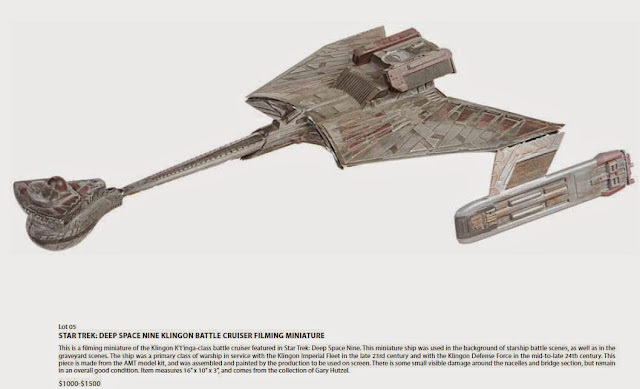 The most spectacular part of these auctions are numerous starship filming miniatures that represents the largest public offering of these rare screen used models since the historic Christie's 40th Anniversary of Star Trek sale in October, 2006. 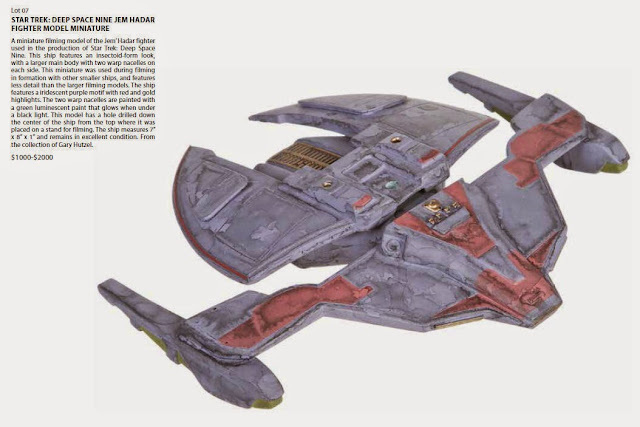 This includes the screen used, Greg Jein built Klingon D-7 model from Deep Space Nine's "Trials and Tribbelations". 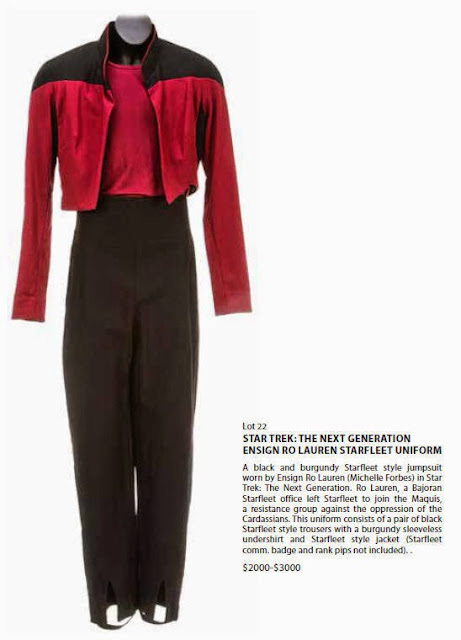 The costumes include items from every major cast member since TNG. 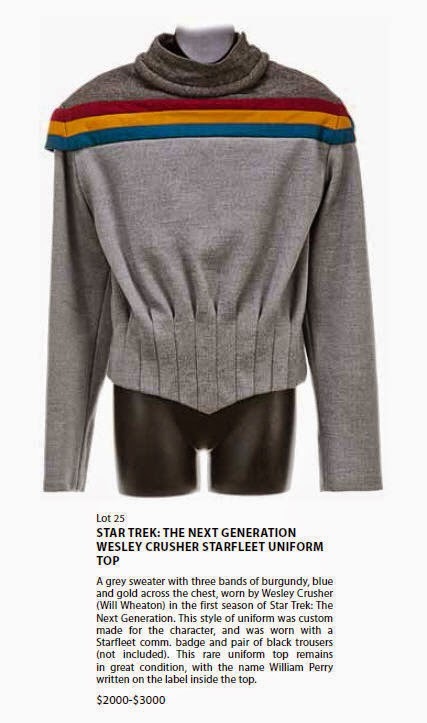 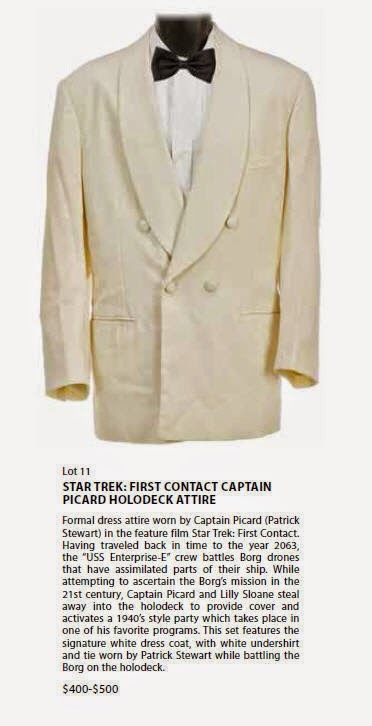 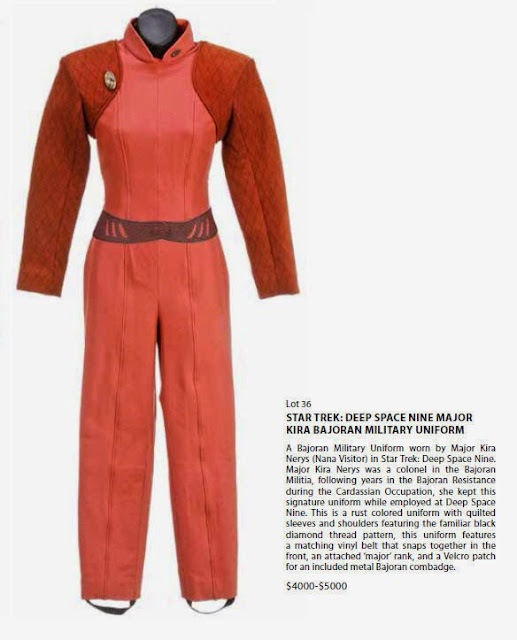 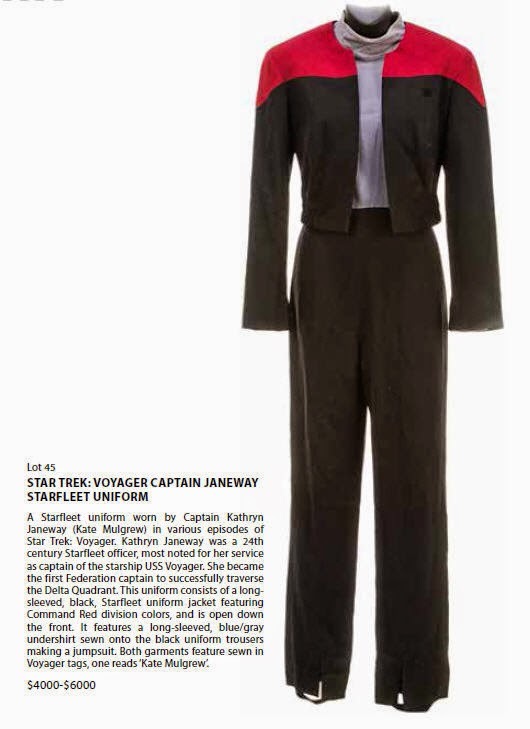 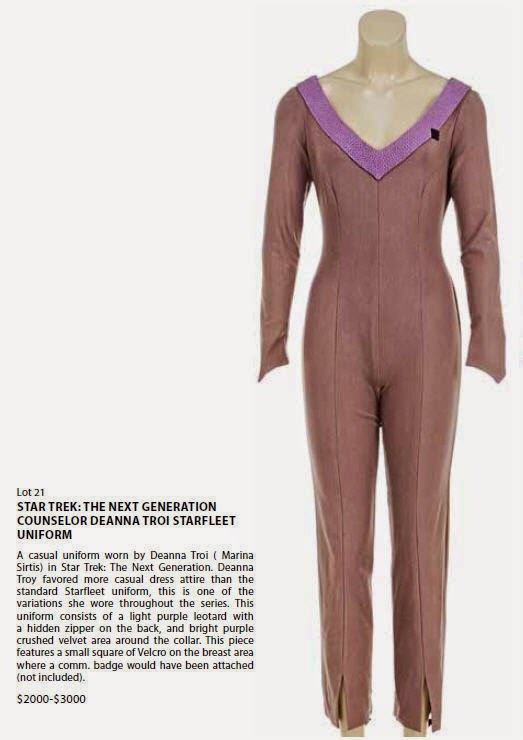 The first auction has spectacular costumes such as a Seven of Nine catsuit, a Captain Sisko dress uniform, Ensign Ro's two piece costume, and many more. 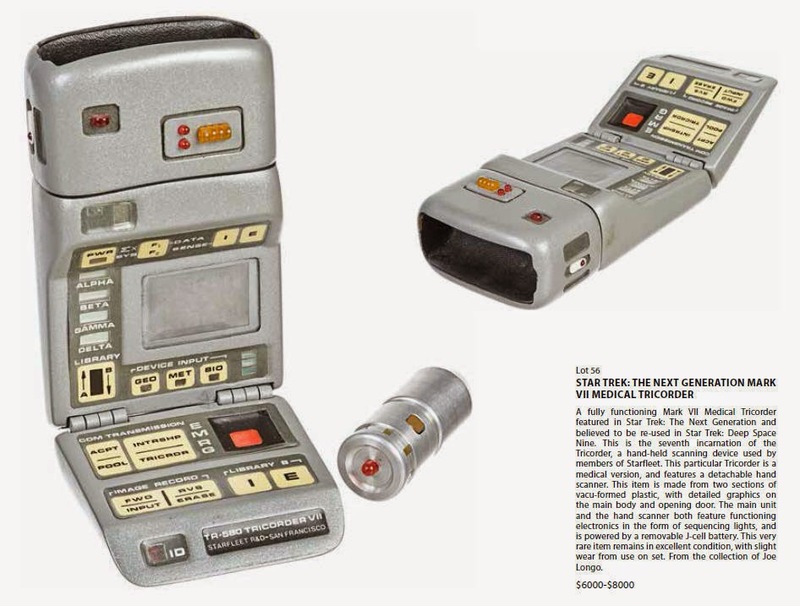 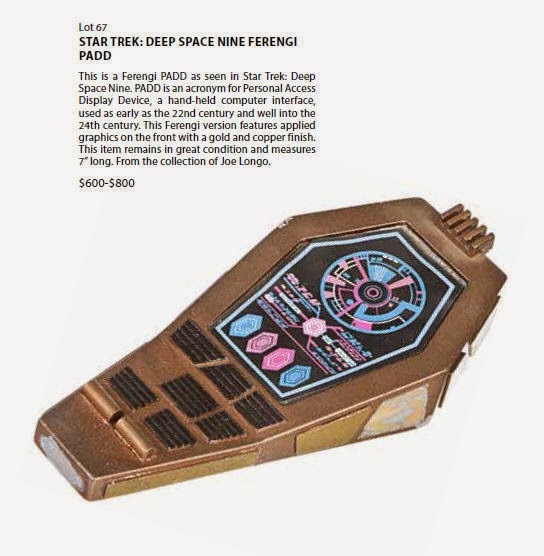 The props include a rare TNG Tricorder, a selection of Klingon Knives, phasers, a Ferengi PADD, Tribbles and Dabo Chips. 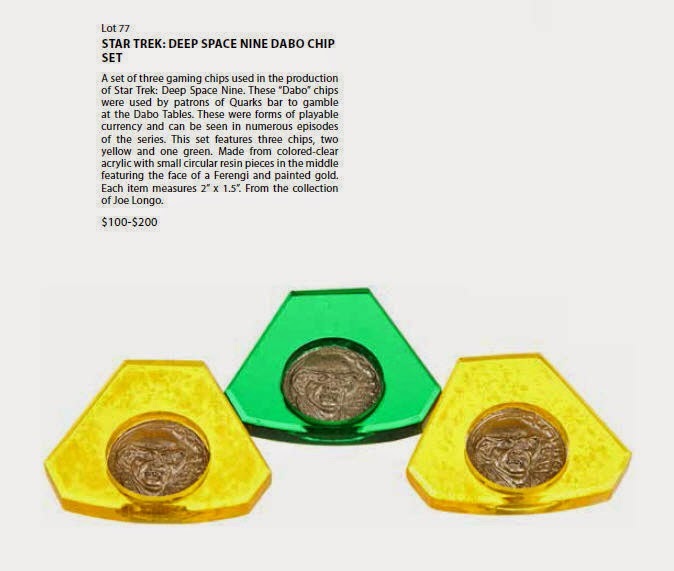 The first 100 lots have been posted on LiveAuctioneers.com. 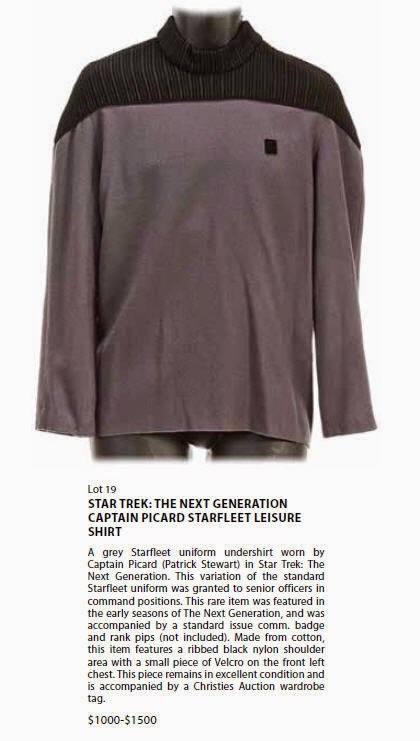 The auction will be held February 21, 2015. 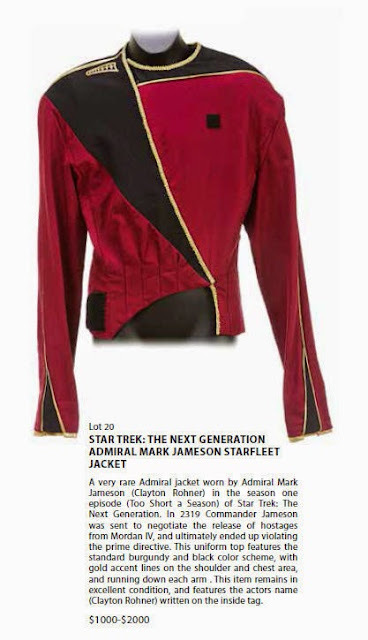 A second auction will be in May, 2015; and the third auction will take place live on site at the Creation Official 2015 Star Trek Las Vegas Convention this August. 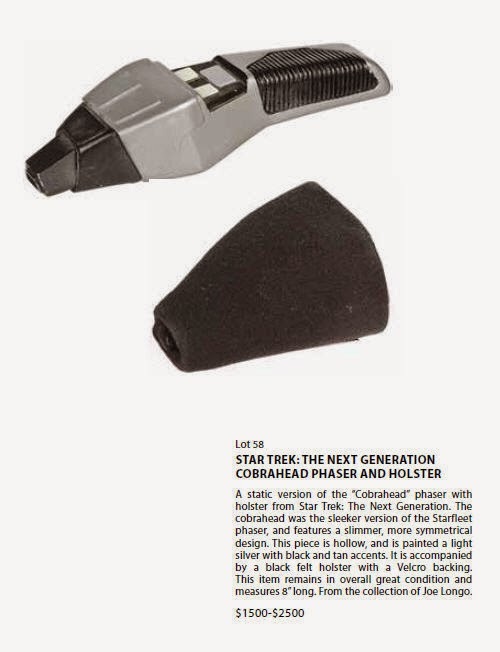 Startrekprops.com will be back bigger and better than ever this year as Jarrod Hunt joins the team and Propworx laucnhes THREE Star Trek auctions including the collections of Star Trek luminaries Gary Hutzel (VFX Supervisor), Joe Longo (Propmaster) and Ronald B. Moore (VFX Supervisor).